The weather has been thwarting the completion of my To Do list the past week. It’s too cold to be outside. Yesterday's high was 10 F (-12 C), and it was -2 F when I was driving home last night. That’s too cold even for me! Luckily, the forecast is for sunny skies and a relatively balmy 40 degrees the next several days. Maybe I can cross a few tasks off my list... and post something interesting! In the meantime, a selection of whimsical items I might buy if I were less practical and more filthy rich. The Florentina Prince Bed from PoshTots can be yours for $6,706 ! The Anne Armoire is $7,200 worth of amusing. 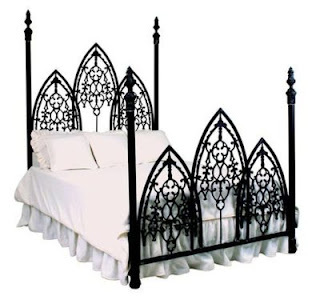 Love the French Gothic Iron Bed from Victorian Trading Co. Not so much the $2,795 price. 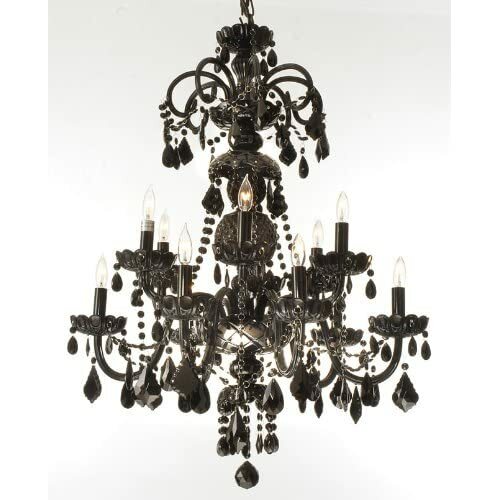 Black crystal chandelier for $509, anyone? I saw that French Gothic Iron bed from Victorian Trading Co. last year and instantly started to drool. For a few months I was even trying to figure out how to get it, but alas my tattoo won out. :) Maybe when I'm full time somewhere and actually own a house? I love those beds! So gorgeous! I wonder how much of the top bed could be faked with plywood panels and those unfinished wooden architectural detail thingies. Spooky Vegan -- I've had my eye on the bookshelf for a long time, too. I'll never buy it, but I like to gaze at the photo once in a while. Tante Fledermaus -- I had very similar thoughts. I think you could make a 90% replica for less than 10% of the cost. It's snowy here too. Electrical boxes on the outsides of buildings is daft. 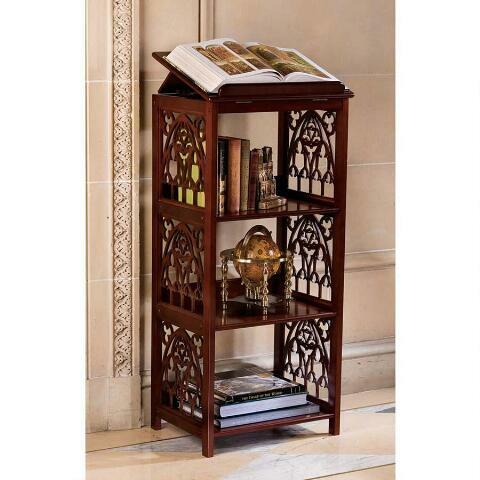 Other than the armoire with arms, I'd have all of those. Gweh :( Maybe one day I'll win the lottery. Tesco, of all people are stocking black gothy chandeliers fairly reasonably priced that are not as fancy as that, but in a similar style. Yes, they're lots cheaper and thus look cheaper, but they're fairly nice. linnea-maria -- I do love to paint things black. ;) Yay, snow! Maeam -- Definitely wishlist material. $6000 for a kid's bed?!? Wow, I guess some people really have more money than they know what to do with! I hope you'll recreate that as a GIY project sometime! Our electrical panel is outside, too. It's a pain (and kinda creepy, although we keep a lock on it and we have a security system with a backup power source). I can't imagine what the reasoning is for putting an electrical panel outside. I would think that weather + electrical panel is a bad combination.